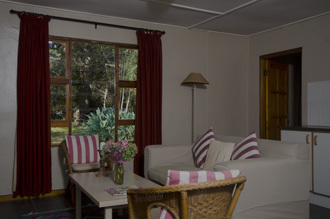 Sunbird is a favourite. 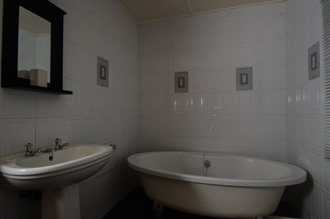 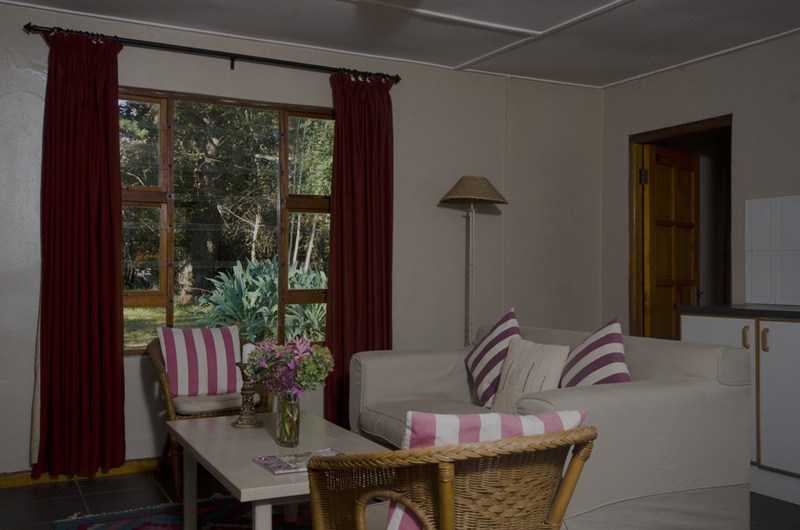 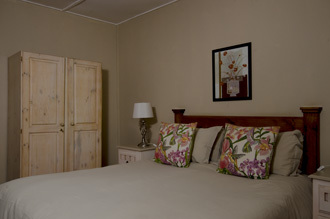 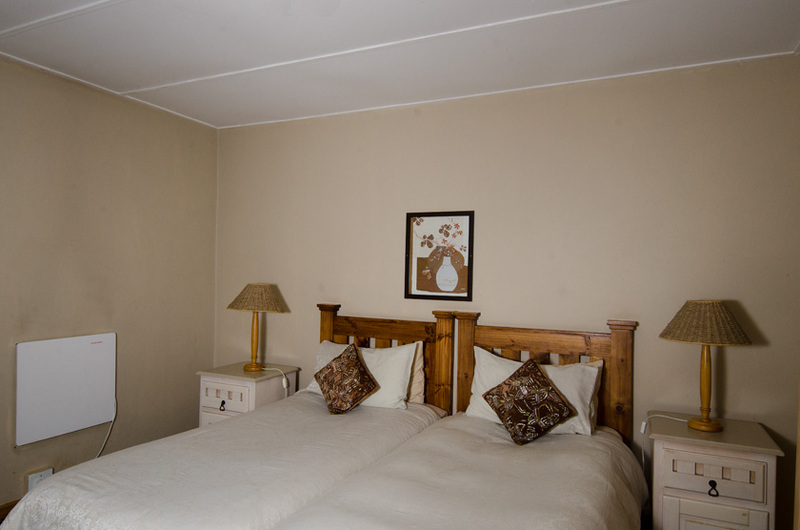 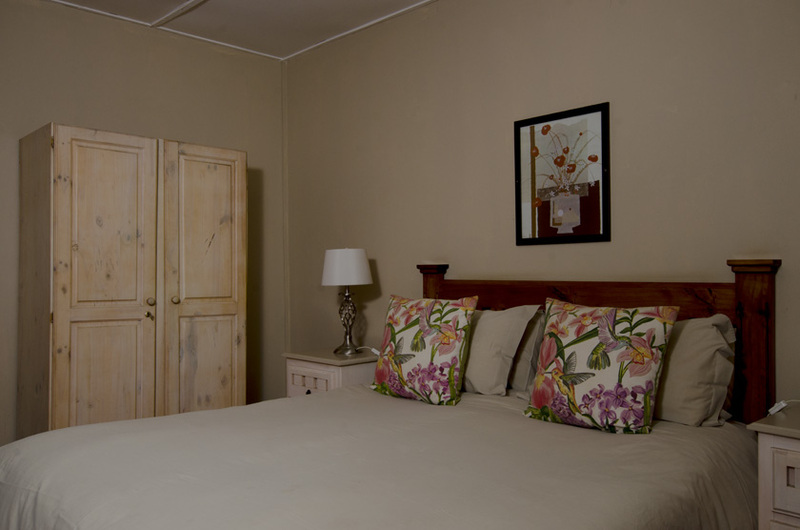 It comprises two bedrooms, both with bathroom en-suite, accommodating 4. 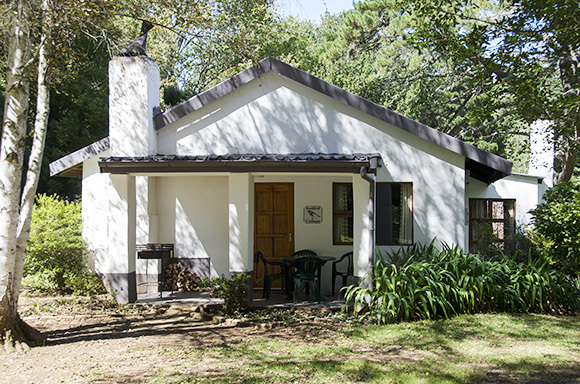 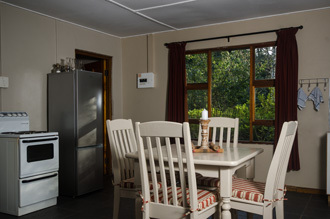 Rate for the cottage: R1 100 per night. 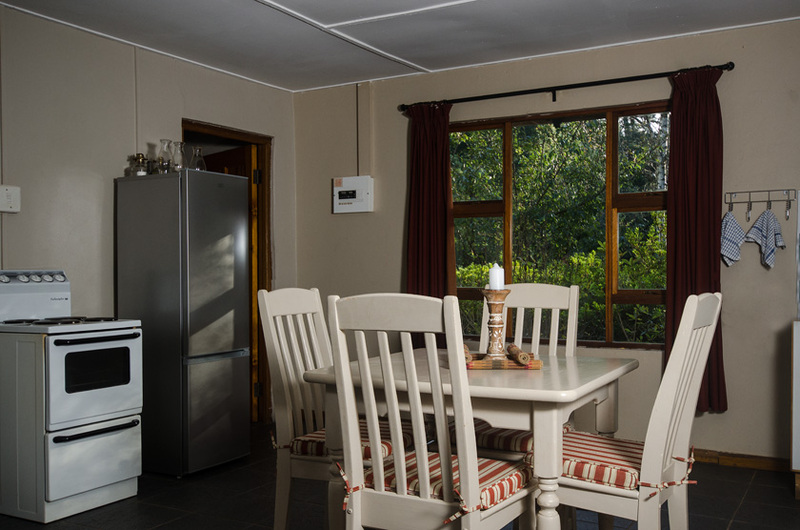 Open-plan lounge, dining area and kitchen. 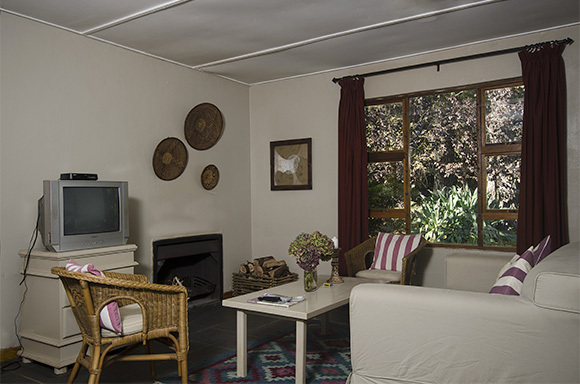 TV with limited commercial DSTV bouquet.